This pastoral run was taken up in 1840 by the prominent gentleman colonist Captain James Reid, who called it Checkingurk (or Tichingorook). Georgiana McCrae sketched the property in 1844. In 1846 it was transferred to Alexander Balcombe, who renamed it The Briars after his family home on St Helena, where Napoleon had been a guest during his exile. Most of the present homestead and outbuildings were built by Balcombe in several stages over the next twenty years. The present timber west wing possibly incorporates a cottage built soon after his arrival as Balcombe's first hut (as well as an early twentieth century extension). The narrow south brick wing was probably built next, either before 1857 or in 1861-2, and a weatherboard bedroom wing was added c1860. 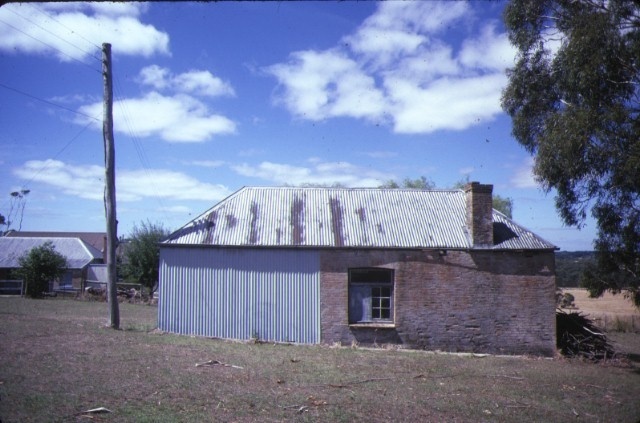 Other buildings on the property by 1862 were the stables, possibly the barn, and a detached kitchen wing (now demolished). The north wing, with its surrounding verandah and cellar was added c1866. Balcombe developed an extensive garden, as well as an orchard, vineyard and a productive kitchen garden. The Briars passed to the Emmerton family after Balcombe's death in 1877, and they added a brick east wing c1907, replacing the 1860 bedroom wing, and c1947 a new kitchen was built onto this to replace Balcombe's old kitchen wing. The Emmerton family also added a tennis court and croquet lawn and developed the decorative garden. After 1924 the property was occupied by Mrs M Moore and the A'Beckett family, who built the lower tennis court, a swimming pool, the current driveway and the garage. The property was run as a farm until 1976 and is now a museum, with a number of items relating to Napoleon which were inherited by the late Dame Mabel Brookes on display. The Briars once had at least forty buildings on the property, of which about seventeen remain. The single storey homestead is a cluster of interconnected buildings of different periods and styles. The timber west wing is a vernacular weatherboard cottage, with a skillion on the north side and a verandah along the south, originally with a hipped shingle roof, now covered with corrugated iron and extended. The south wing is a narrow brick building with a symmetrical plan form and a central recessed verandah along the west side flanked by small rooms at each end. The almost square north wing is of brick with a hipped roof and an encircling verandah, altered in the late nineteenth century, on to which the rooms open through French windows. The Edwardian red brick east wing originally contained one very large room, used as a dining room. It has none of the flamboyance usually associated with the Edwardian period, but reflects the simpler architecture of the older north wing. The kitchen addition to the east wing is of asbestos cement. Nearby surviving outbuildings include a small brick building, probably built between 1857 and 1862, clad with corrugated iron at one end, and with a hipped metal roof, which once contained a laundry and dairy; a concrete block apple store, built in the early twentieth century; and further away from the house the early brick stables and barn. Remnants of Balcombe's garden, including some mature trees, survive, and the homestead stands amid an unspoilt picturesque rural landscape. 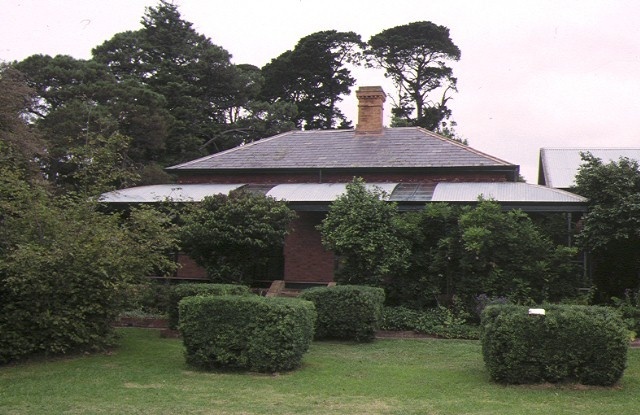 The Briars at Mornington is of historical and architectural significance to the State of Victoria. The Briars is historically significant as one of the earliest pastoral properties on the Mornington Peninsula and for its association with prominent early gentleman settlers Captain James Reid and Alexander Balcombe. It is also historically significant for the collection of Napoleonic memorabilia housed there, and the relationship of this to the Balcombe family. 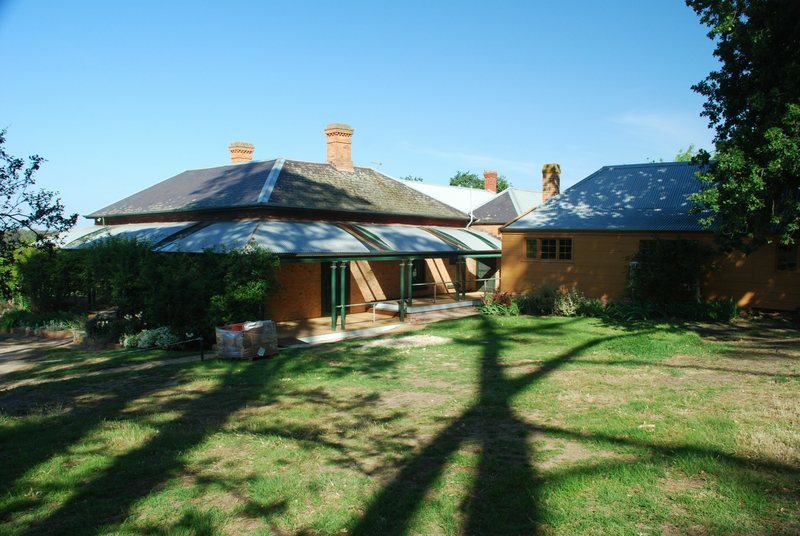 The Briars is architecturally significant as an example of the additive nature of many country homesteads in Victoria, and for the retention of its rural setting. Shire of Mornington. No.320. The Briars,Nepean Highway, Mornington. This pastoral run was taken up in 1840 by the prominent gentleman colonist Captain James Reid, who called it Checkingurk (or Tichingorook). Georgiana McCrae sketched the property in 1844. In 1846 it was transferred to Alexander Balcombe, who renamed it The Briars after his family home on St Helena, where Napoleon had been a guest during his exile. Most of the present homestead and outbuildings were built by Balcombe in several stages over the next twenty years. The present timber west wing possibly incorporates a cottage built soon after his arrival as Balcombe’s first hut (as well as an early twentieth century extension). The narrow south brick wing was probably built next, either before 1857 or in 1861-2, and a weatherboard bedroom wing was added c1860. 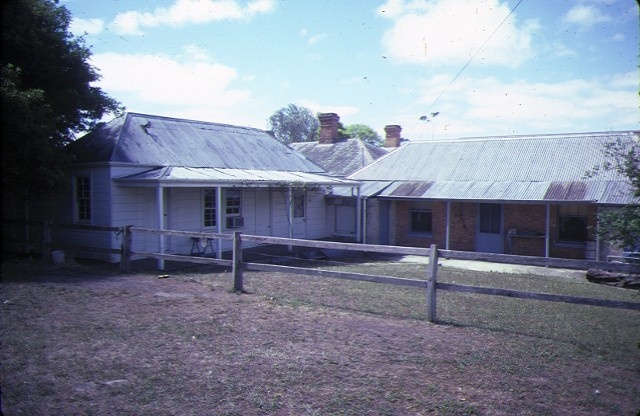 Other buildings on the property by 1862 were the stables, possibly the barn, and a detached kitchen wing (now demolished). 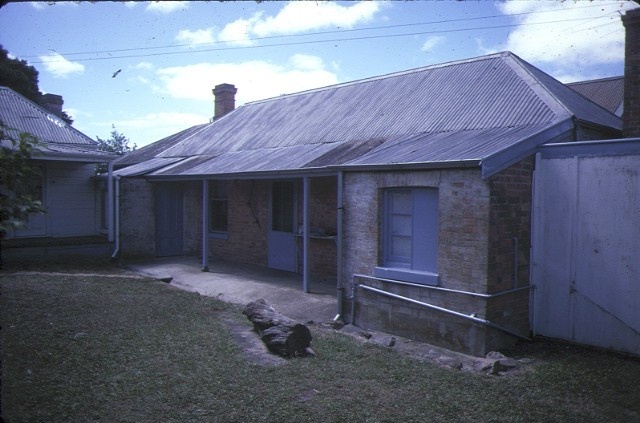 The north wing, with its surrounding verandah and cellar was added c1866. Balcombe developed an extensive garden, as well as an orchard, vineyard and a productive kitchen garden. The Briars passed to the Emmerton family after Balcombe’s death in 1877, and they added a brick east wing c1907, replacing the 1860 bedroom wing, and c1947 a new kitchen was built onto this to replace Balcombe’s old kitchen wing. The Emmerton family also added a tennis court and croquet lawn and developed the decorative garden. After 1924 the property was occupied by Mrs M Moore and the A’Beckett family, who built the lower tennis court, a swimming pool, the current driveway and the garage. The property was run as a farm until 1976 and is now a museum, with a number of items relating to Napoleon which were inherited by the late Dame Mabel Brookes on display.